Take It All In. Leave Nothing Behind. Cruising Highway 1 to Big Sur has been a quintessential American road trip for more than 80 years. The scenic route sweeps along the jagged Pacific coastline, offering travelers breathtaking landscapes, exciting recreational activities and countless lasting memories. The iconic roadway to Big Sur opened in 1934, and in recent years about 3 million people traveled along it annually. Now that Highway 1 has reopened, everyone can once again enjoy the original Big Sur road trip. The reopening of Highway 1 also serves as an excellent reminder of the importance of protecting this fragile environment. It’s more important than ever to travel responsibly throughout the Big Sur region so it remains a beautiful place to live and visit. We encourage all Highway 1 visitors to incorporate the minimal-impact, leave-no-trace ethics of camping and hiking into their road trips. Do not camp along the road: It is illegal to camp on the roadside and along Highway 1. Use designated campsites only and reserve in advance to ensure availability. Don’t start fires: Extinguish cigarettes in your ashtray and build campfires only in designated spaces and follow proper protocol when putting them out. Keep a bucket of water nearby. Always check current fire restrictions. which may prohibit open fires, campfires or charcoal fires. Visit www.fs.usda.gov/lpnf for up-to-date fire restriction information for the Big Sur region. Respect private property: Keep in mind that most of the land adjacent to the highway is posted private property. Don’t collect: Do not disturb plants, animal, rocks, and artifacts. Hike responsibly: Stay on designated trails to protect yourself and native plant life. Keep pets on a leash: Protect their safety, as well as the safety of others and wildlife. Pack out trash: Don’t litter; bring garbage bags with you and dispose of waste in designated receptacles. Recycle: Find blue recycling bins at local businesses. Reuse: Bring reusable bags and water bottles to save money and protect the environment. Use proper public restrooms: Don’t use the outdoors as your toilet; restrooms at California State Parks within Big Sur are open to the public. You do not need to pay the entrance fee if you are only using the restroom. Click here for more sustainable tips in Big Sur. 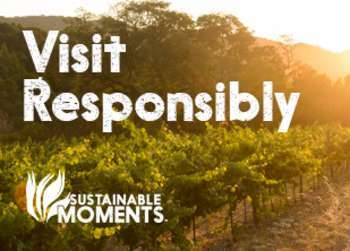 Sustainable Moments is a program developed by the Monterey County Convention and Visitors Bureau and its Board of Directors and hospitality partners. The initiative aims to educate travelers on how to visit responsibly and stay safe while making the most of every moment in Monterey County. 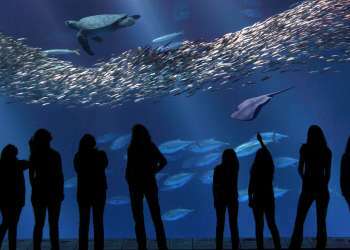 By following these easy, practical tips, you can make the most of your road trip while helping preserve the beauty of Big Sur and the rest of Monterey County for generations to come. Our local residents, businesses, wildlife, flora, lands and seas will appreciate it! For more information on responsible travel, visit us at www.SeeMonterey.com/Sustainable/.